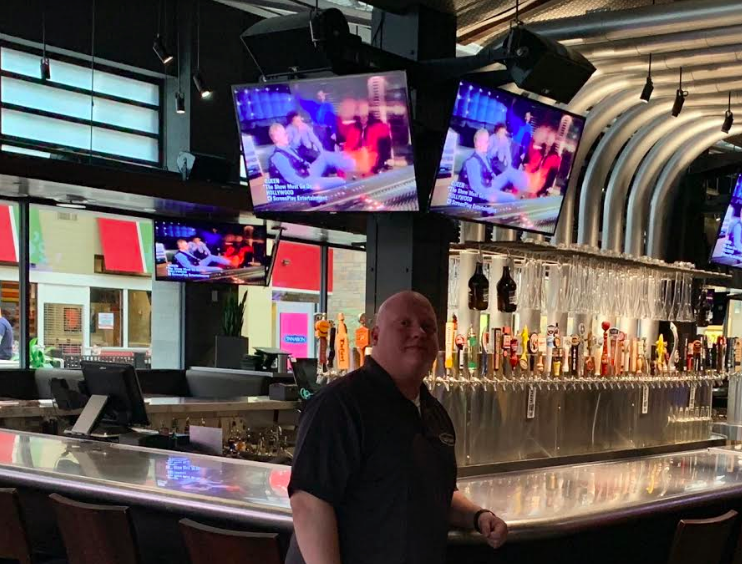 West Nyack, NY— It’s been a journey for Anthony Nielsen, who worked his way up from being an hourly team member to becoming the new general manager of Yard House in West Nyack, NY. Nielsen has been a part of the food business for 14 years and was inspired at a young age by his father who specialized in hospitality. Before living in New York, he gained prior experience at other restaurants in Indiana, Ohio and Florida. His journey started when he got his first job as a dishwasher in 2004. Nielsen explained how grateful he was for the experience he got before taking on a bigger role as manager. He had a lot of mentors along his way, including Raven Marie who is now the Director of Operations for Yard House. He also credits his team members and previous managers for being role models that helped him develop the leadership skills he utilizes now. “The biggest opportunity that I had was taking on new responsibilities,” Nielson said. He worked as an hourly team member for 11 out of 14 years, so learning how to lead and influence people was a new challenge for him that he willing to take. Yard House is known for connecting people through their food, drinks, and classic rock. Their West Nyack location has three keg rooms with over 165 different varieties and 180 handles of ales and lagers. For more information about Yard House, visit www.yardhouse.com/home or call 845-348-1528.